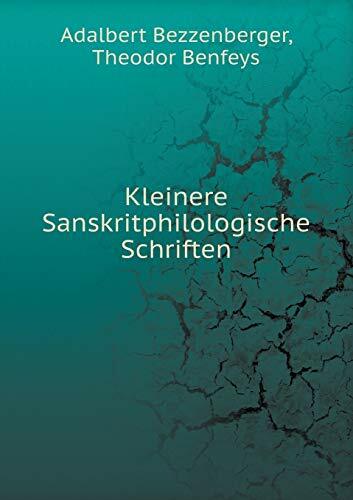 Der gesammelten leineren schriften Theodor Benfeys erste abteilung zweite ausgabe This book, "Kleinere Sanskritphilologische Schriften", by A. Bezzenberger, Th. Benfeys, is a replication of a book originally published before 1894. It has been restored by human beings, page by page, so that you may enjoy it in a form as close to the original as possible.